Estimating damages starts with a sketch of the affected area. In house training is provided to increase accuracy and consistency. This streamlines the estimating process. An estimate cannot be written without a sketch. IICRC provides the industry standard for restoration process. 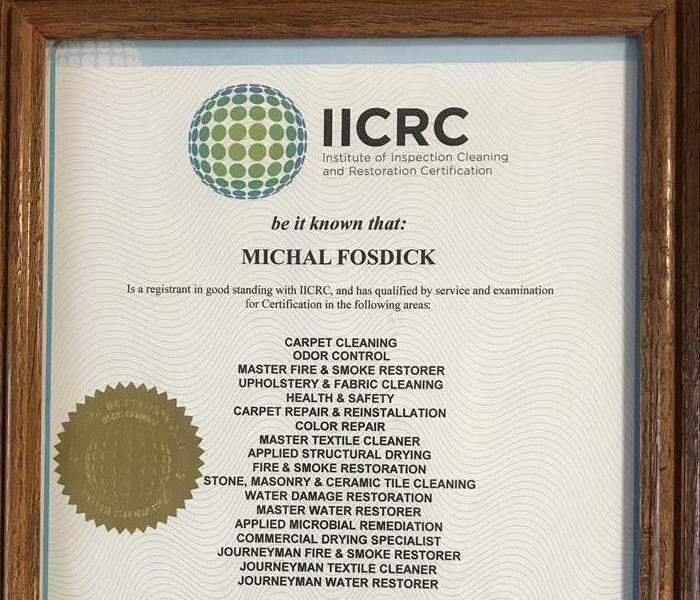 Owner, Michal Fosdick has decades of experience within the industry. 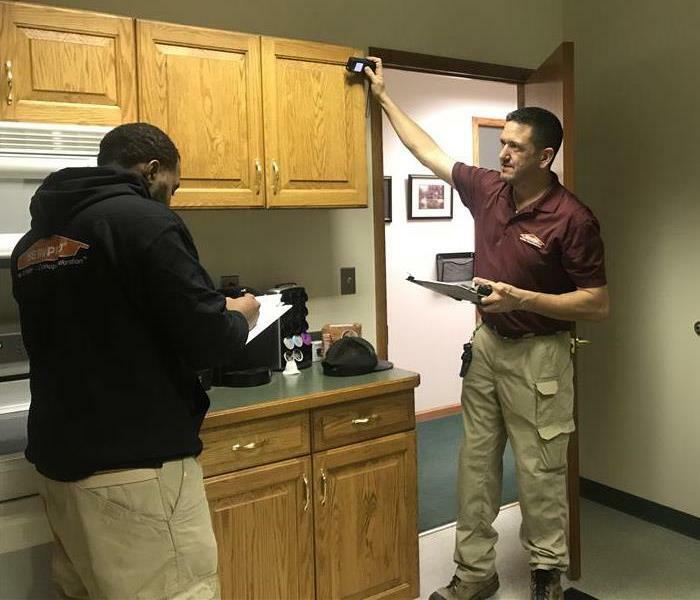 Her knowledge along with her certifications have provided SERVPRO of Southern Cuyahoga much notoriety . Hurricane Michael had devastating destruction throughout Georgia. SERVPRO of Southern Cuyahoga County traveled to assist with the clean up efforts. Our travel crews spent over 38 days on the road helping make it "Like it never even happened." The sea of green....vehicles that is!! We are prepared for any sized disaster, whether it be a flooded basement, a pipe break, a kitchen fire, any time of day. We will be there to help!